Pink and me have a love/hate relationship. With that I mean I hate that I love it so much. 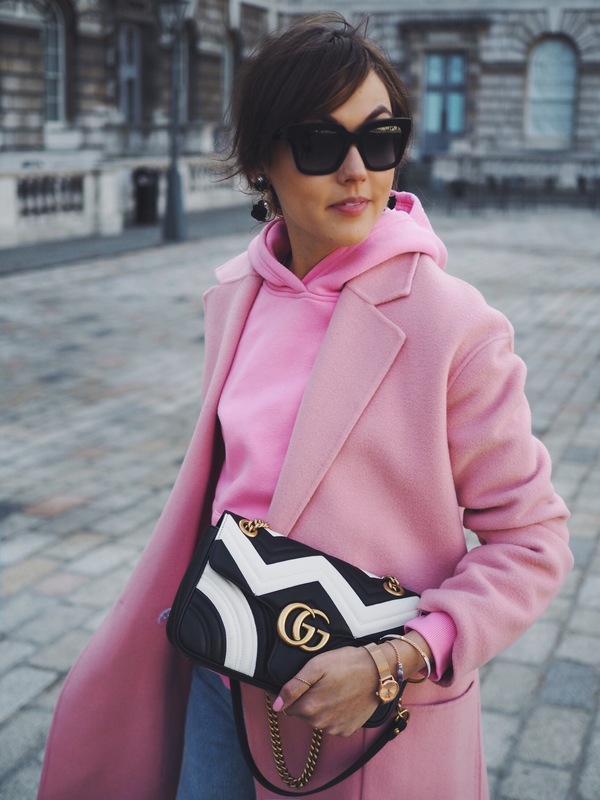 It’s a cute colour, I like wearing colours – even though if you follow my blog long enough you may have noticed I wear less colour than I used too – but the thing with pink is, it isn’t really cool. It’s a colour so sweet it gives you toothache, something you usually associate with barbies and bubble gum. Not. Cool. And still I can’t stop wearing it after it became one of the biggest A/W trends of 2016/2017. 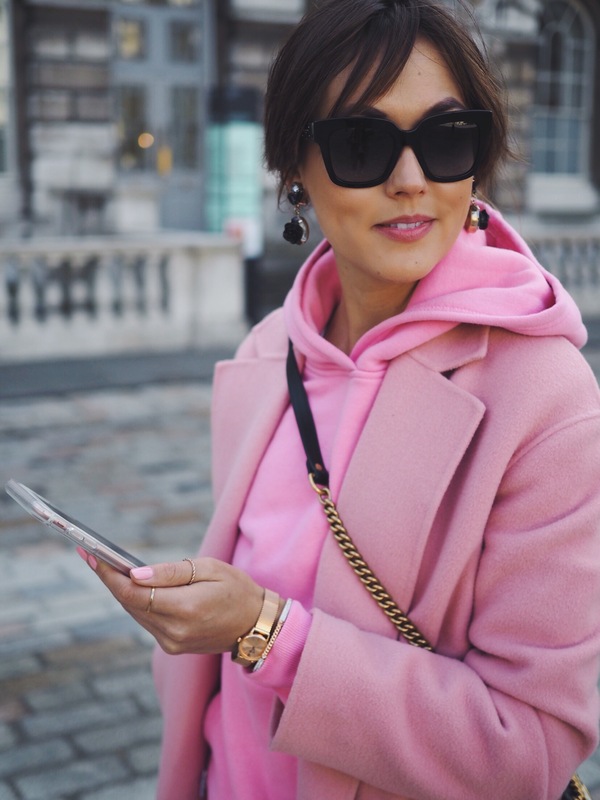 During London Fashion Week I went a little overboard with wearing pink in every outfit and doubling up on the sweet colour in today’s look. Maybe I end up having a pink overdose at one point, but for now it remains a favourite. So much even that I bombarded this outfit as my fave outfit of LFW. I especially love how it goes really well with my new rose gold Cluse watch. 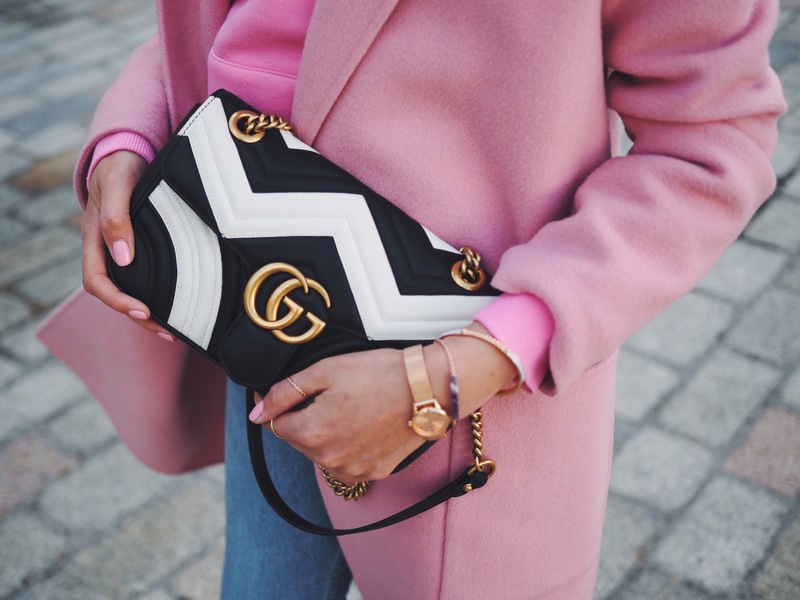 I love mixing rose gold with pink! This new watch definitely came in handy to be in time for all the shows & presentations I attended. 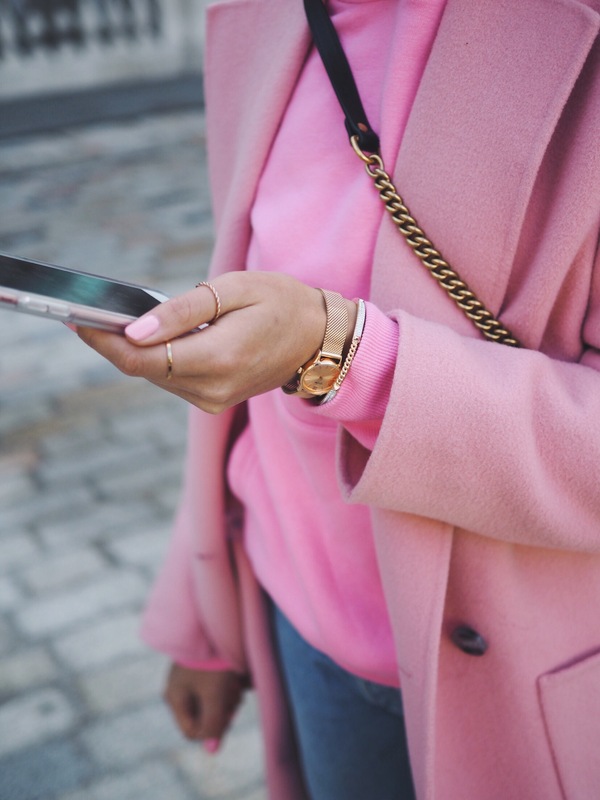 Would love to hear your thoughts on the colour pink, do you love it or hate it? This post was created in collaboration with Cluse.